Valhalla Varsity Volleyball beats West Hills Varsity Volleyball in straight sets 25-16, 25-16, 25-13. 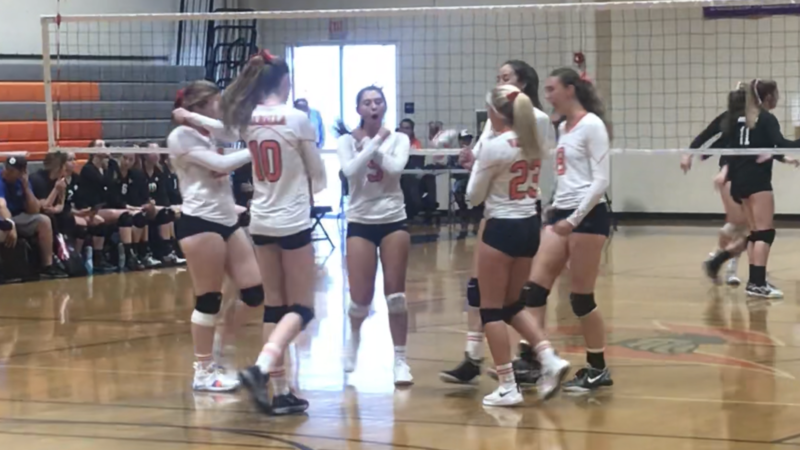 Valhalla was led in Kills by Nina Folz 8, Kira Tolman 7, Whitney Hauseur 7, Assists by Whitney Hauseur 16, Aubrey Woods 15, Blocks by Hunter Ford and Jamie Nash each with 2, Diggs by Ellie Valdez with 16, and Aces by Whitney Hauseur with 7. Next up for Valhalla Volleyball is an away league match vs Grossmont High School. The Freshmen and JV will play at 4 PM with the Varsity to follow at 5:30 PM.